A big hello from the activity organiser for 11 - 14 year olds! It has been a great week and a half with loads of activities and loads of fun. Between scavenger hunts, fashion shows, excursions, and more across all the age groups, it's been a blast! 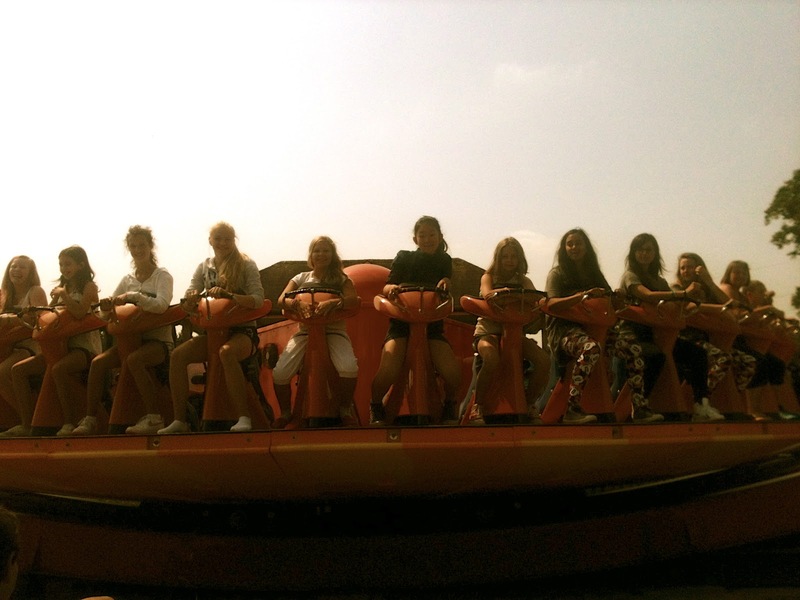 In fact, this weekend, as the juniors were adventuring in the caves of Wookey Hole in Somerset, the middles and seniors were riding roller coasters at amusement parks and shopping away in Southampton. They returned tired, but satisfied (and some with giant donuts pillows...sorry). 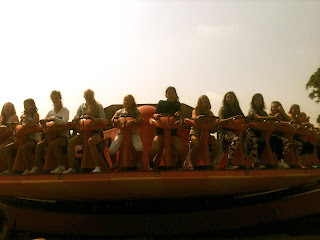 That's not all, though, because some lucky children from the middle group had the opportunity to travel to Brownsea Island. They camped away under the night sky after participating in exciting activities such as night walks, raft building, and archery. It's not all games though. We have fantastic teachers here who offer a variety of interesting topics within the classroom (and sometimes outside under the shady trees as it would be a crime to keep students out of the beautiful weather we've been having recently). With topics such as 'the world around us', 'crime and supernatural', and 'the future' learning english is an exciting interactive experience. It's been an absolute honour watching the students quickly gain the ability to communicate with one another in English over time, building stronger friendships as they go. We will keep you updated as we come closer to the 2 week mark when we have to say 'goodbye' to many of our student, and 'hello' to many more.